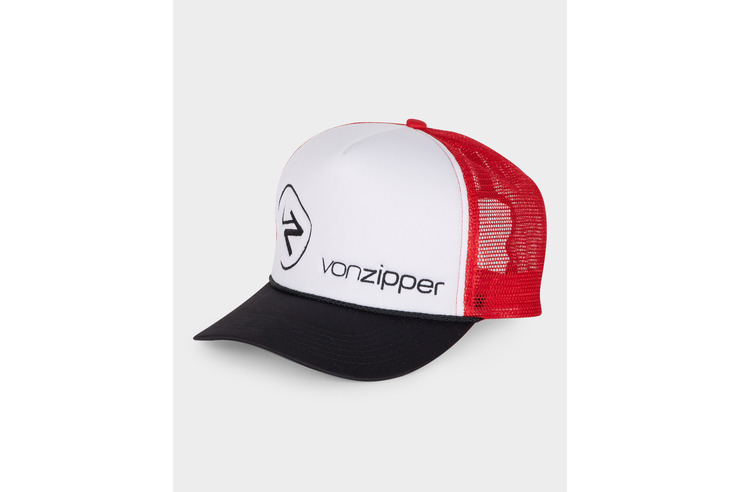 This staple trucker is an absolute Vonzipper essential offered in a variety of colour ways. Features VZ embroidered logos on the front panel, classic mesh panelling, cord and snap-adjustable back. Made from 100% Polyester & 100% Nylon Mesh.